SARA Centre is a community-driven, artist-run initiative located in Dombekoppa Village of the Shimoga District in Karnataka, India. Established as a platform for dialogue, SARA Centre invites artists, intellectuals, environmentalists, farmers, teachers and students to share and to raise public awareness about sustainable life practices that specifically address the ecological concerns of the region. 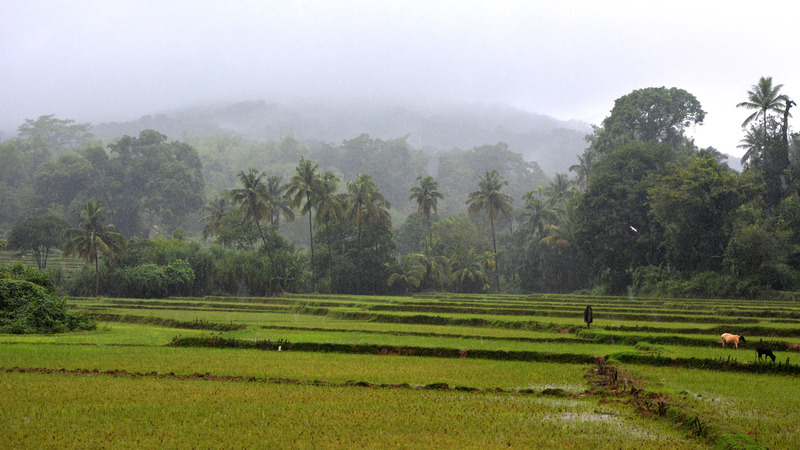 Situated within the agricultural regions of the Western Ghats, the centre not only responds to local agricultural and ecological concerns it also aims to create an active forum for knowledge exchange about broader environmental issues. •SARA is an apolitical forum where various stakeholders can gather to assess and discuss issues relating to the impact of post-industrialisation on contemporary, agrarian-based localities. •SARA aims to generate dialogues on conservancy and sustainability within the local community and to create “The Effects of Human Interventions on Environment,” an interactive archive of information relating to environmental concerns. •Through exhibitions, art-related initiatives, and hands-on, pragmatic learning modules SARA aims to inform younger generations and teachers about the present condition of the environment and the sustainability of lifestyle choices. •SARA plans to curate residency programs for contemporary artists, scientists and resource persons. The residency programme will work with the community to innovate sustainable alternatives to meet energy needs, to encourage better water management skills and to develop sustainable food production in response to local conditions and available resources.